Overall a solid experience. 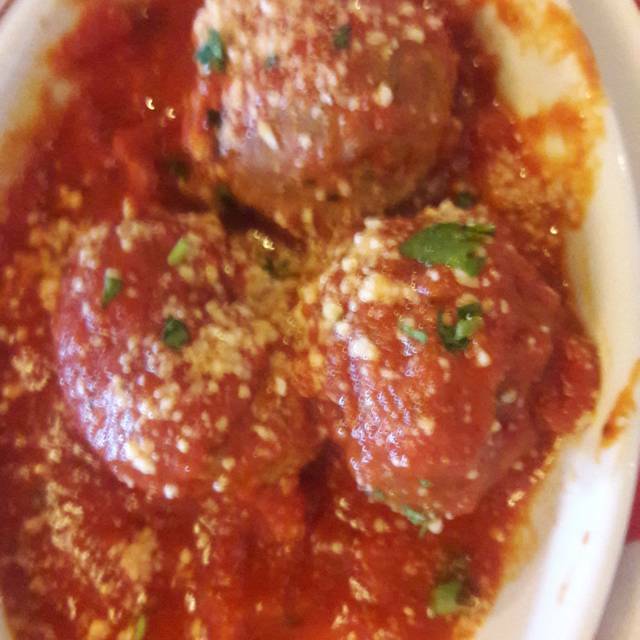 3 of the four of us really enjoyed our meal, but one thought the spaghetti and meatballs was way too salty. My eggplant parm was amazing, and daughter loved her linguine with clams. There were some interesting. Appetizers including lasagna nachos. The only other negatives were s very limited list of wines by the glass, but the bottled selections were reasonably priced including a nice Texas wine. The food is delicious and the service is great. Awesome first visit! calamari is delicious, good servings, excellent customer service. Mike, our manager was amazing and the staff was more than attentive to us. Outstanding customer service & food was delicious! Definitely one of my favorite restaurants. Arrived and was greeted by the chef and manager. Our meal started off with bread that could be dipped in oil and vinegar. Very good. They made us a special appetizer with chopped tomato with basil. Very tasty and beautiful on the plate. We had spaghetti and it came in just the right size. We all liked it. 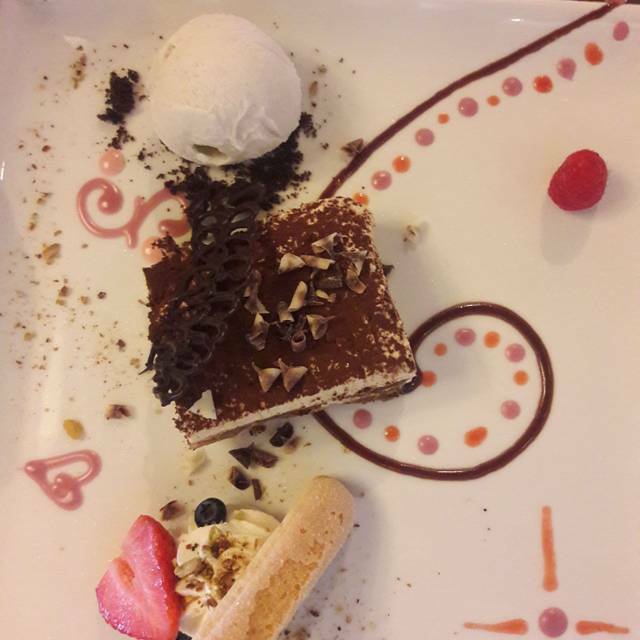 The chef made us a special dessert tray that highlighted several types in small bites. Made me feel very special. Thank you so much for a delightful meal. We will return. Food was Very Tasty and Service was Excellent!! Birthday lunch for our daughter. Food was fantastic, service out of this world. Will definitely go back to experience more! Always good food and excellent service from the staff. This is my favorite place to celebrate my friend's birthday. 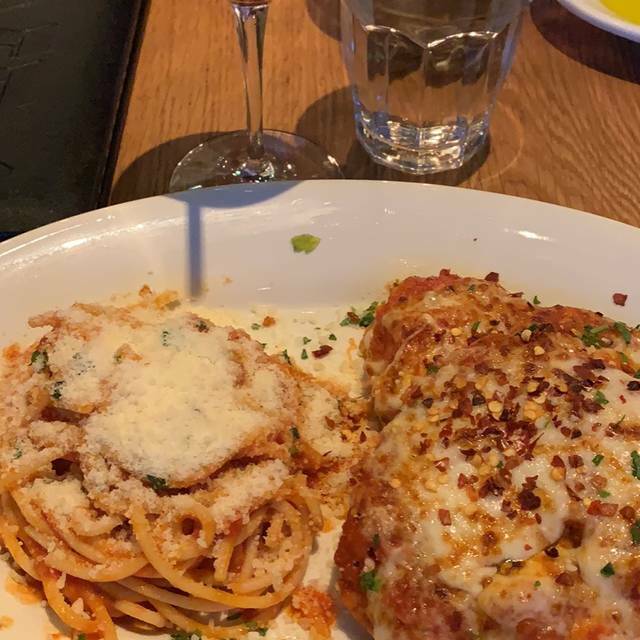 Food is delicious, great customer service, Manager Richard always making sure that we get the best service, goes to our table to great family and friends. This place makes me feel like I'm part of their family. I celebrate at this place every occasion and every time, staff makes sure we have the best time and make our celebration so commemorative. Thank you Buddy V's for caring so much about your clients and making sure that Buddy is very well represented through you guys!!!! Thank you Chef Jay and Chef Edward for all that you do for us!!!! We had very attentive service. The food was excellent. We were very happy with our time there. The waiter had great suggestions for food and dessert. I was only trouble on how many times I needed to look for my waiter and wait for him to come back to see if we need anything else. when he did come back to our table we had already asked someone else for what we needed. we loved everything else especially my mother in law she LOVED IT !! she watches there show. My boyfriend and I went on a date and the waiters/waitresses were very attentive to our needs. The interior was beautiful and the distribution of the place was very well though of. The food was great and reasonably priced. Would definitely return to try some of the other dishes! Great experience with friendly staff and great food. We literally waited like 30 seconds to be seated. Everything was amazing! The food was exceptional and the staff was very friendly. As always amazing service, despite being Valentine's Day and such a busy day, the service we received was just amazing, food was serve fast, warm and most important, super delicious. I would really like to tank all the staff for such wonderful service us clients receive. Managers Anabel and Richard are so attentive, the front desk girls always with a big smile and call me by name as soon as I walk in. Waiters Luis Vasquez and Gabriel Azamar always so attentive to my family and go to our table to great us. Chef Jay, like always goes to our table to great and make sure that we are enjoying our food. Thank you so much for such great service!!! Super Delicious Food with great service from the staff! You can’t go wrong if your looking for a very good place that feels like home with a outstanding meal placed in front of you! Love this Place! We celebrated valentines day @buddy Vs.matthew our server was wonderful he answered all our questions we didnt have to remind him of refills the food was delicious and very nice portions .we had bubby 's pizza,the calamari,and the nachos buddy's version they were wonderful.we plan on going back for our anniversay and my birthday.this is our new favorite italian restuarant finally authentic italian food☺thank you buddy for opening your restaurant in mcallen texas its worth the trip from mercedes. Our favorite place for all celebrations, if we dont have one, we come up with one just to go and enjoy at this place. The food is amazing, desserts are delicious. Staff members are so attentive. My daughter and her friends always asking for chef Jay to take pictures with him. Not enough words to say how much we love this place. Enjoyed it!! I have another reservation for Valentine’s Day! Our waiter was overbearing and unattentive. My friend and I was wearing shorts and tshirt so I guess we were underestimated. Awesome food, service and atmosphere. Very attentive to my party. Love the feel of this establishment. Can't wait to return. Came to this place to celebrate my friends birthday. 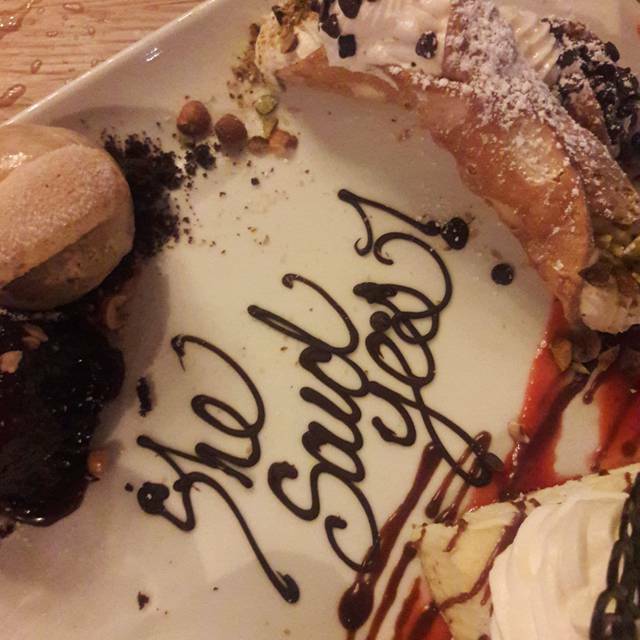 What an amazing way to celebrate, Chef Jay and chef Edward, manager Richard along with other staff surprises my friend with amazing desserts and they sang to her. Love this place, we come here to celebrate every occasion, if we dont have an ocassion, we make one just to be back aagain. 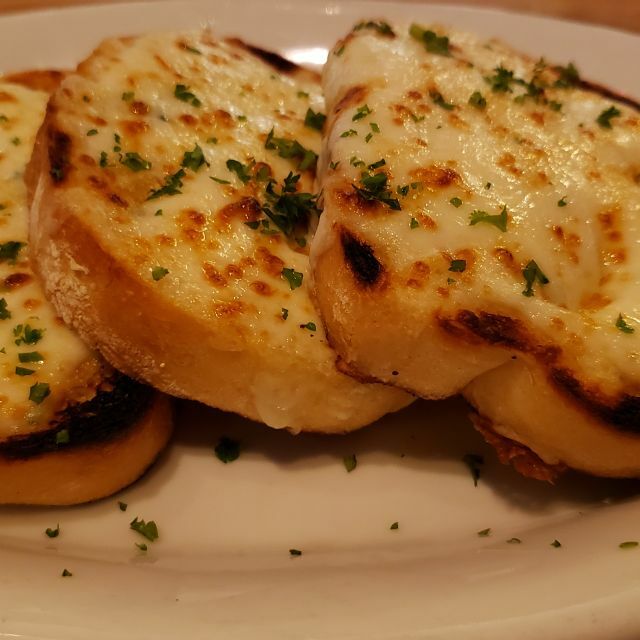 We love the food, once you come to this place, you no longer want to eat at any other Italian restaurant. I can't even describe how grateful I am with chef Juan Garza. I have a friend who will be starting chemotherapy soon and is feeling sad about the cancer diagnose and loosing her hair. I wanted to take her out to make her smile and forget about what she is going through for at least a moment. 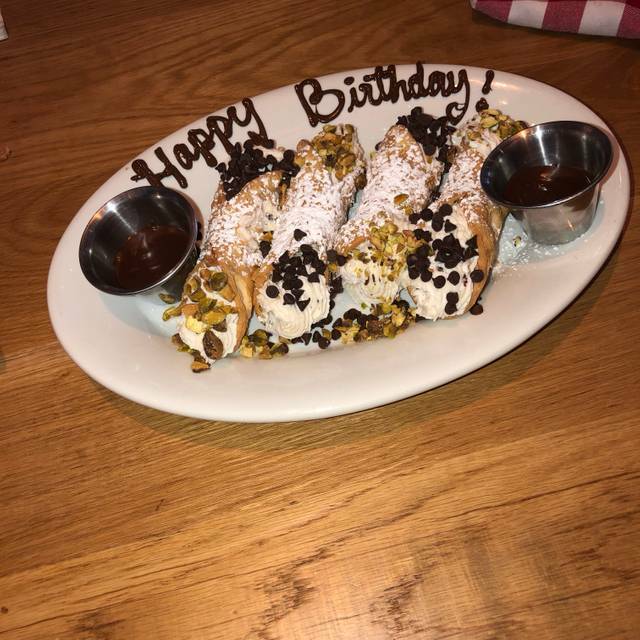 Of course I took my friend to this place since its my favorite, I shared with chef Garza what my friend is going through, at the end when we had finished eating, chef Garza brought amazing desserts to surprise my friend and wrote a verse from the bible to bring hope to her. I can't even describe the reaction of my friend and her 7 yr old daughter. We all cried tears of joy. Those desserts were beautifully designed. I want to thank all the staff for amazing service and delicious meals. Buddy V's is like being with family.. love it, this palce is our addiction. Like always such an amazing experience. I took my daughter and her friends to celebrate that my daughter said yes to her Quinceańera dress. I shared that with chef Edward and he surprised my daughter with an amazing dessert. one of the managers, Richard came out to great us. We were so spolied that night. Our celebration was just amazing. Our waiter Gabriel was so good and made this moment so fun and special. Thank you for having this amazing place so close to my home. #1fan. Like always, such an amazing experience. We love coming back to this place, my daughter's, and I go once or even twice per week. Once we put pictures and great comments on this place, we get ask by family and friends if they can join us on out next reservation. As we walk in, we get greated with such enthusiastic, waiters are so nice and helpul, always with a smile on their faces. Manager Anabel is so nice, she stops at our table to greats us, she even knows our names. Food is delicious, chefs are amazing. Chef Garza always puts so much spark and talent to every dessert. All I can say is that we love this place. Our server, Jorge, was friendly and began answering our questions as well as offered suggestions. 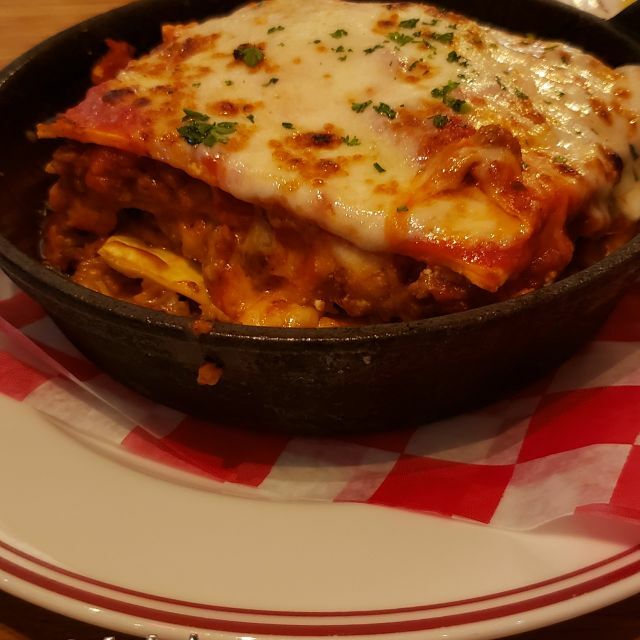 The food was absolutely delicious, recommend the lasagne, and service was on spot. Will definitely be going back! As always, such an amazing experience. Delicious food, great people. Chef Juan Garza makes every experience so amazing, different and unique. Always comes out to greet us. I love this place. 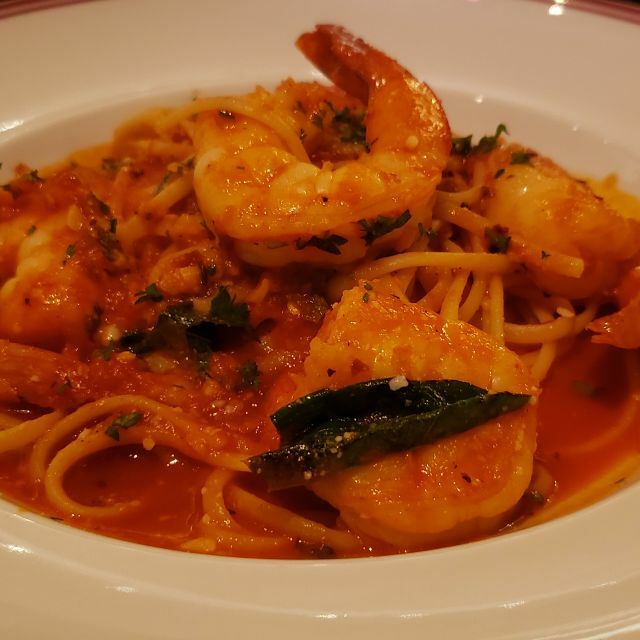 I had the shrimp scampi. This is the closest to Paisano's shrimp in San Antonio. Excellent. The others in my party loved their food as well. This location offers great service, delicious food/desserts, and overall we had a wonderful dining experience. We'll definitely return soon. Food was ok nothing fancy.